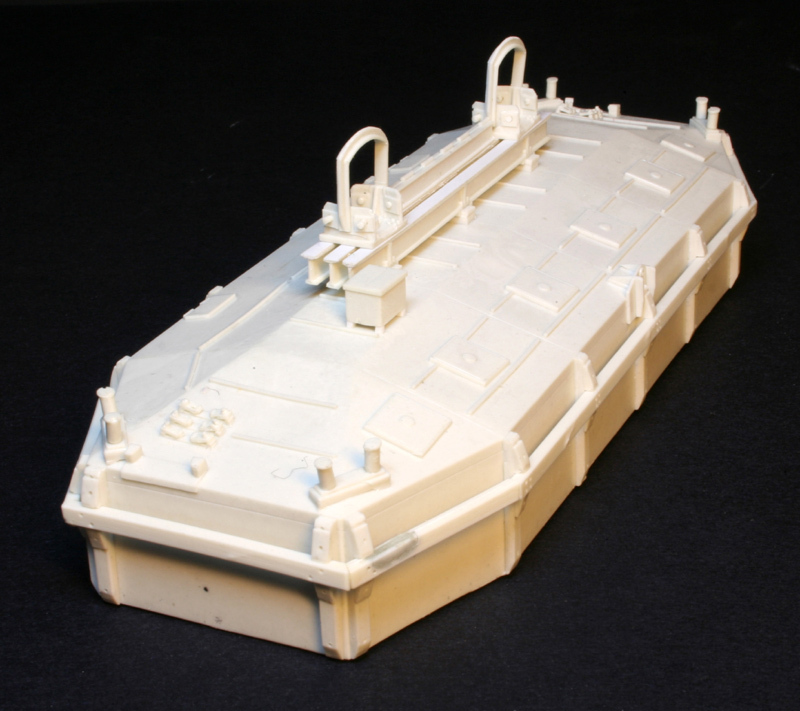 This kit depicts one of the concrete pontoons known as ‘Beetles’ and is one of three types built to make up the Mulberry Harbours. The concrete type were the most numerous employed on the roadways. They were built from prefabricated concrete parts and assembled in almost all of the waterways along the south coast of England. Sections of roadway of up to seven spans were towed across the channel ready to be installed directly into the growing harbour, each eventually stretching nearly a mile out to sea. 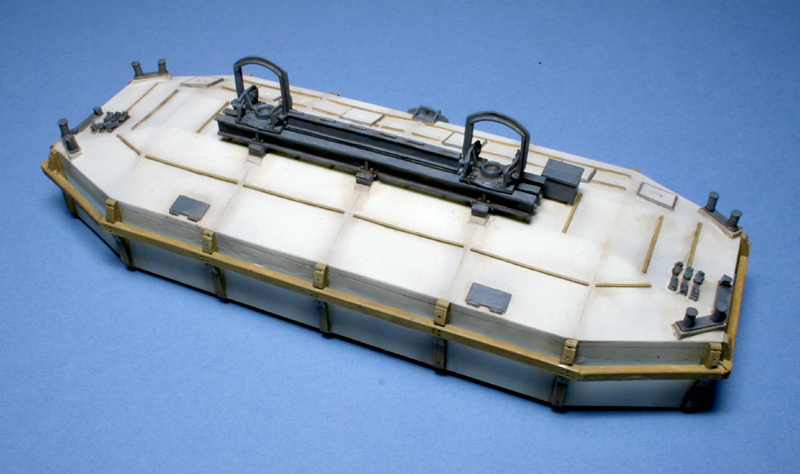 This kit comprises 39 resin parts with full colour illustrated instructions.